This is the fastest, easiest, low-carb, healthy lunch ever! When life gets busy, please don’t forget your protein. 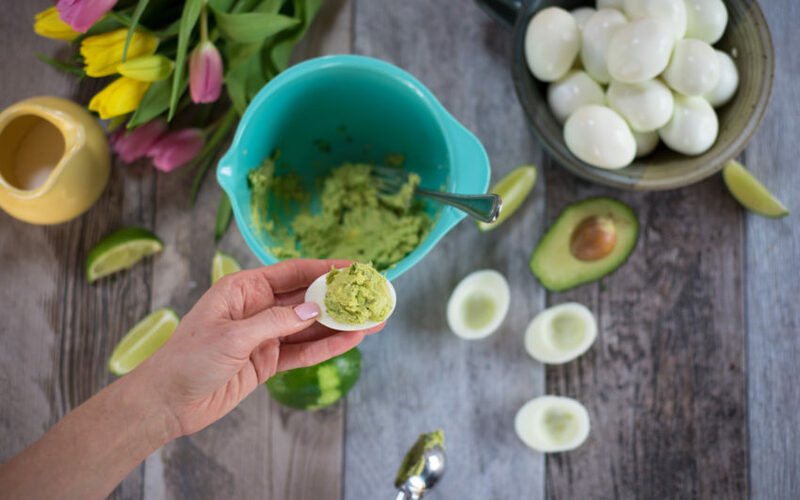 I think that can be tough, because there aren’t usually many on-hand sources of protein…unless you prep it, which is the whole point of this post! Lol. On-hand sources may be nut butters and some cheeses, but I think having a substantial protein prepped and ready for meals is ideal. 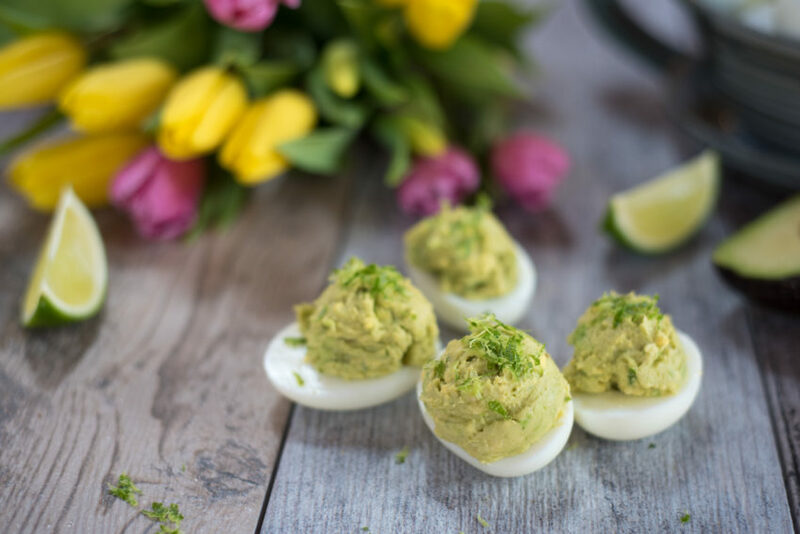 It takes the effort out of the moment of decision, and this recipe is perfect for those sudden hungry moments…rely on protein & healthy fats for those! 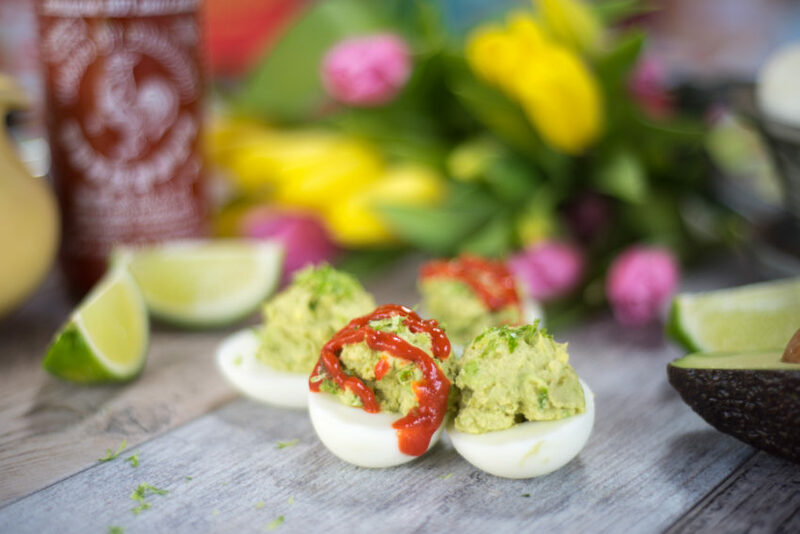 You might already know how I feel about eggs, so this week is dedicated to 5 easy recipes involving hardboiled eggs! I just love that they are filled with protein (the white and the yolk), have all the B-vitamins we need (I call those energy vitamins; they are vital for your nervous system, too), and every fat-soluble vitamin in that gorgeous golden center. 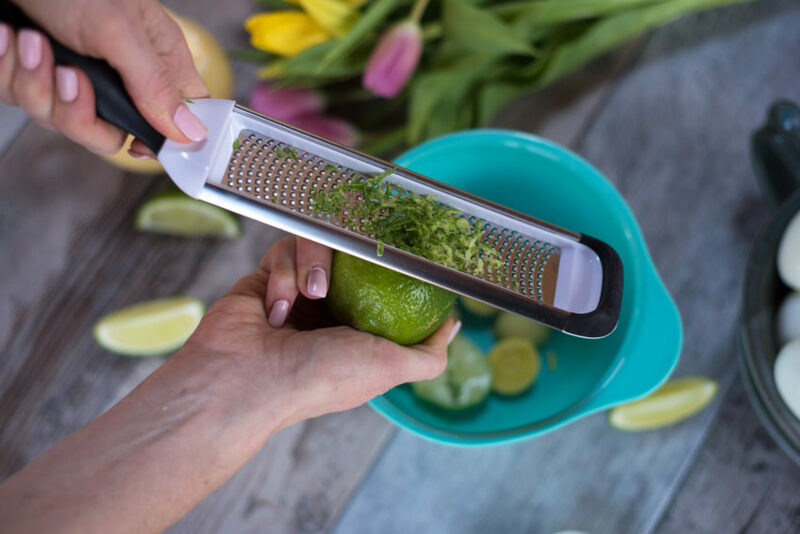 Now, a burst of flavor from avocado’s best friend, lime zest. 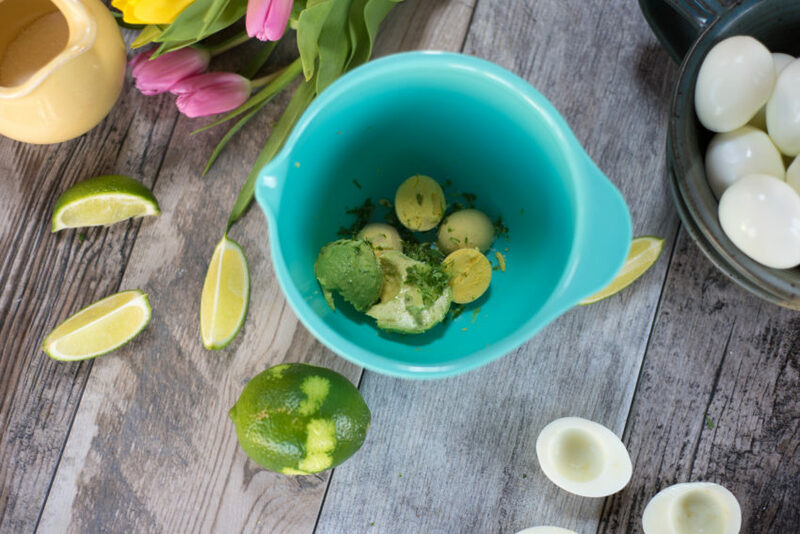 The two of these ingredients were made to go together…(be sure not to zest the white underneath, though – it is not a friend. lol. Too bitter! But some people I’ve served these to enjoy a drizzle of hot Sriracha! 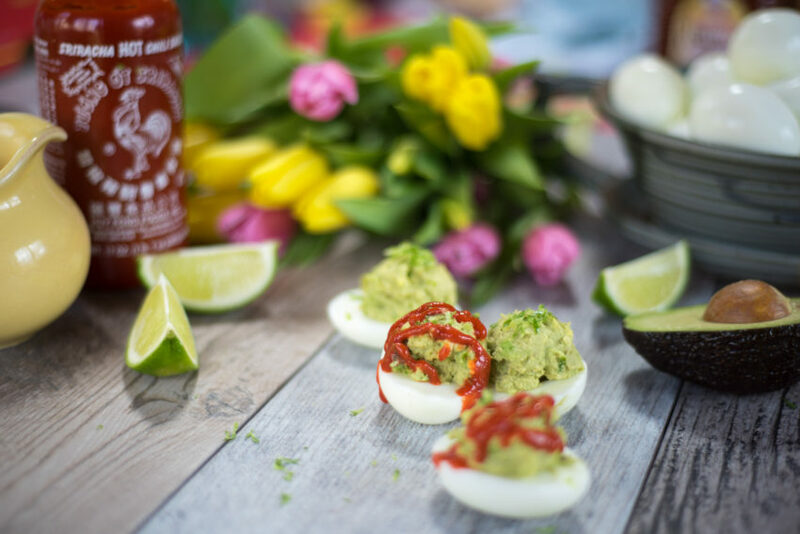 Curious: are you a Sriracha fan? If you appreciate heat, you’d most likely like this stuff! I hope you enjoy these…use them as a lunch or snack. They are easy to make, just for one! And boy, do they ever provide energy! I created this recipe for Albertsons Safeway. Please leave me a comment below and let me know you stopped by! 1. Cut eggs in half lengthwise. Gently scoop that golden yolk into a small bowl. 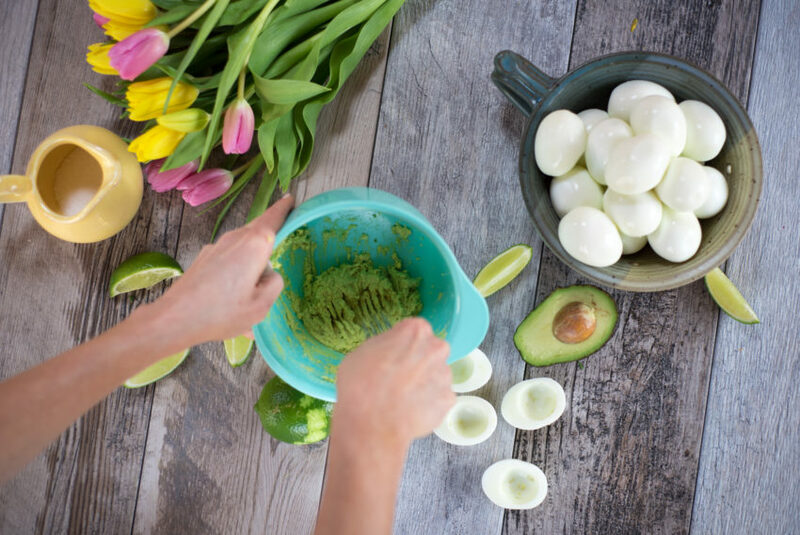 Add avocado, lime zest, and salt. Mash with a fork until well combined. Spoon egg yolk mixture into egg whites. 2. If you appreciate heat, drizzle on a little Sriracha! Enjoy immediately. – less air contact keeps it looking fresher! 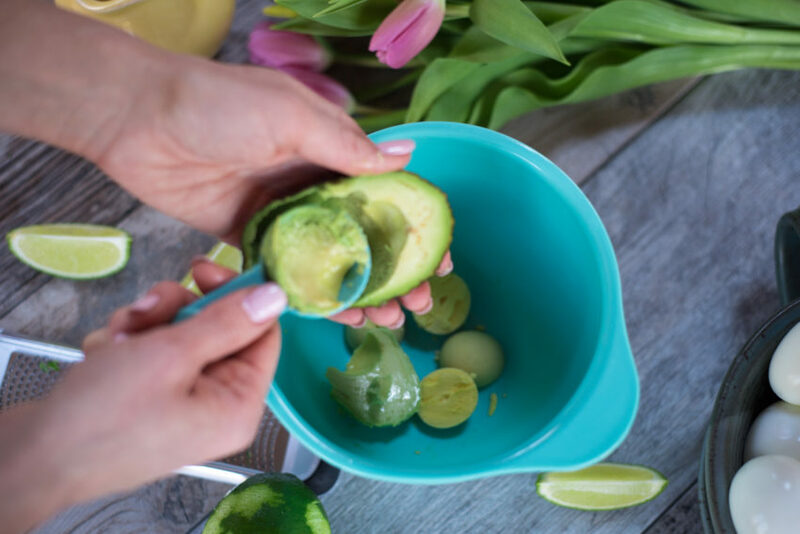 If storing for later use, plastic wrap should touch avocado mix to avoid browning.